I have been an amateur astrophotography for approximately 25 years. I started out with a local group in Wisconsin, and soon realized the need to move to darker skies. Soon we moved our equipment to Animas, NM, where we ran our equipment remotely. While keeping ties with groups in Animas at Dark Sky New Mexico, I recently joined a group in California at SRO, and Now at SSRO int he southern hemisphere. 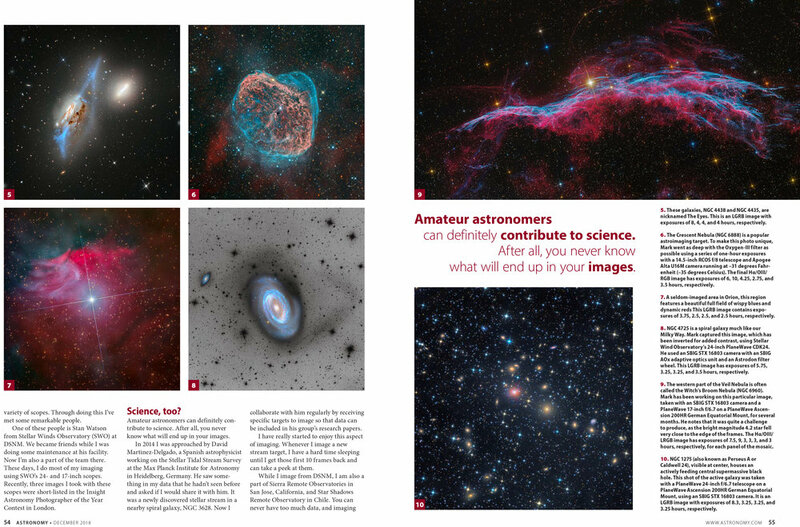 While I don't possess any type of astronomy degree, My “pretty pictures” have been seen in the Albuquerque museum, Astronomy Magazine, APOD, and at the Royal Observatory in Greenwich, where I was presented the first place award in the robotic telescope category through Astronomy Photographer of the Year in 2014. My interests also include the setting up and ongoing maintenance of observatories and equipment of all sizes. I'm also involved with a small team of amateur astronomers that search for minor galaxy merger remnants with an international team of astronomers and astrophysicists, lead by Dr. David Martínez-Delgado of the Max-Planck Institute for astronomy. They take very deep images to reveal these stellar tidal streams. This is the debris of smaller dwarf galaxies left during the process of being absorbed by larger galaxies. The amateur team is lead by R. Jay GaBany who oversees the pilot survey. I am also the owner of Algae Free, LLC, an aquarium products manufacturing business. When i'm not working, imaging or processing, I enjoy golfing. 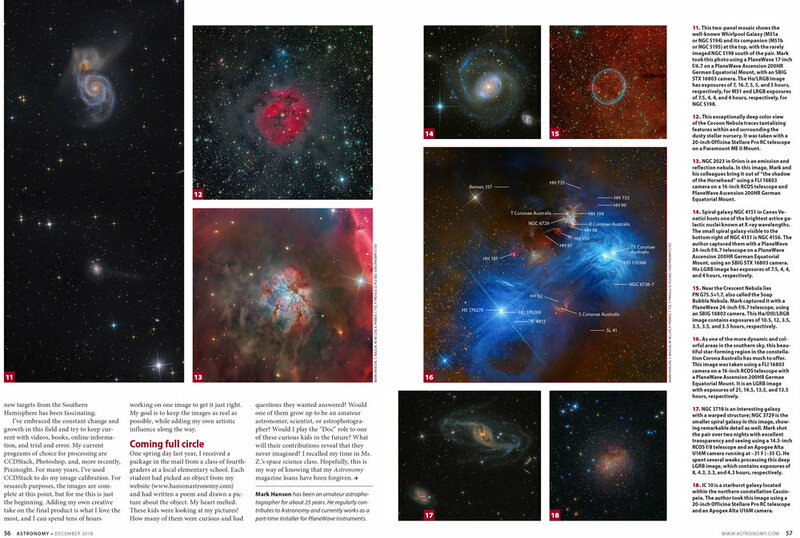 Here is an article that’s in December 2018 Astronomy Magazine that tells a bit more of my journey into astrophotography.